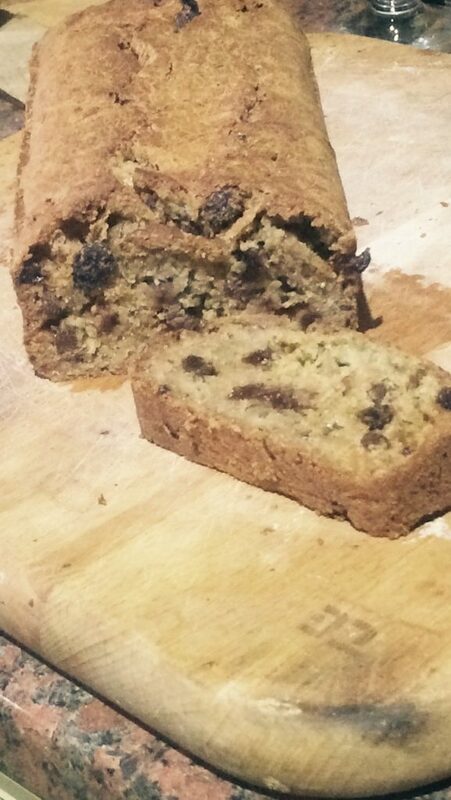 A healthier cake – Courgette and sultana (wheat and lactose free). Each year my love of growing vegetables, well grows. I had a dad who had very green fingers and grew a lot of the vegetables for the small hotel my parents ran. In the summer months our bath water was often emptied by buckets into the vegetable patch! My Sri-lankan grandmother has the greenest fingers in the family. Her windowsills were often covered in seedlings and she would disappear into the garden at mealtime to pick “greens” to make into a family favourite dish. A meal of rice and curry is not right without “greens”. This year however I have 2 plants that are exploding with monster courgettes and a bountiful supply is on its way. Follow my instagram stories for pics of the garden and how I cook them. Courgette cake. This has gone down so well. I’ve been making it and freezing it. Recipe below. Courgetti. Not because we want to be on trend but because it works. Spiralising courgette, cooking with garlic and lemon juice is a winner. Grated courgette in bolognaise, risotto or pretty much any dish! Roasted and blended with tinned tomatoes for a pasta sauce. 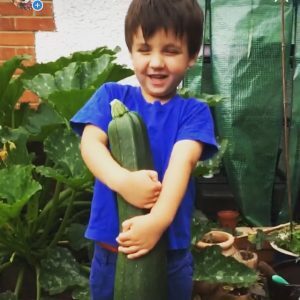 Hubby and I love a courgette curry so that’s also on the menu but I have to make the children something different on those nights! So here is a lovely courgette cake recipe. You really won’t taste the courgette and I’ve lowered the sugar content for you too, it works out at 3g sugar per slice but some of this is the yoghurt and courgette. Per 100g it is 3.6g sugar so a much healthier alternative to many other cakes. I made this for a family party recently and it went down really well! Easy to make, reduced sugar recipe and includes plenty of yummy courgette. Preheat the oven to gas mark 4. Grease and line a loaf tin. Add the flour and carefully mix in. Now add the remaining dry ingredients and mix. Pour into the loaf tin and put in the oven. Bake for 20 minutes uncovered and then cover the top with foil to prevent it burning. This cake takes 30-40 minutes in my oven, I recommend checking it by inserting a skewer and seeing if the bottom is cooked. You don't want to have the bottom too soft (I've made that mistake for you!). What are your favourite courgette recipes?